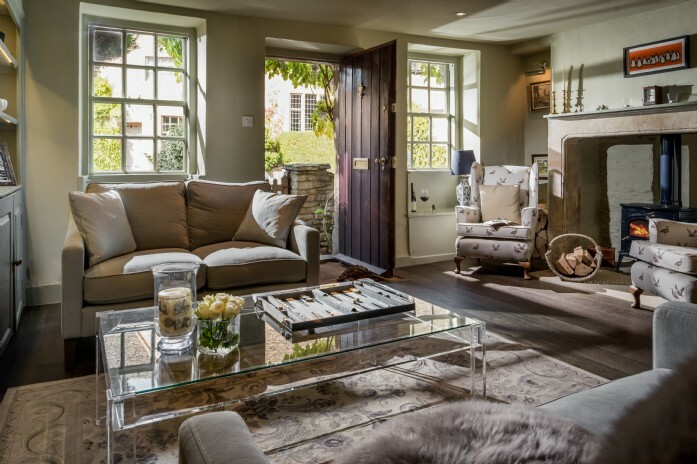 Unique Home Stays gives you exclusive access inside the lives and homes of inspirational, eclectic and ingenious individuals by handing you the keys to their absurdly beautiful abodes. 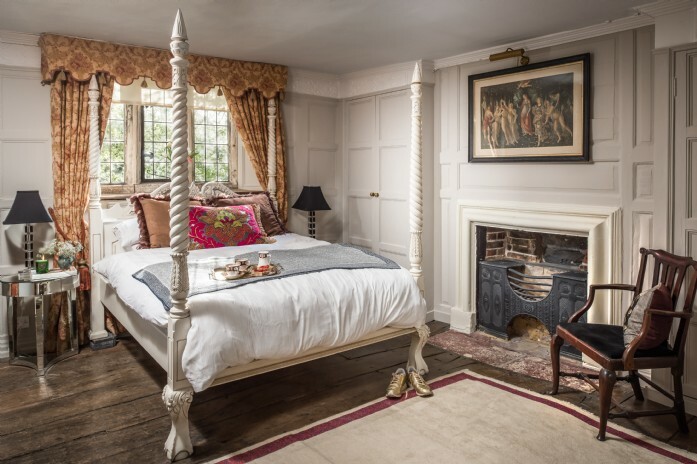 From marvellously designed gardens to bedrooms and bathrooms made for the bon vivant, these nine homes celebrate English eccentricism at its best. This bright tapestry of a home spreads over a large U-shape and is surrounded by exceptionally landscaped gardens; altogether daringly fun and flamboyantly joyous. 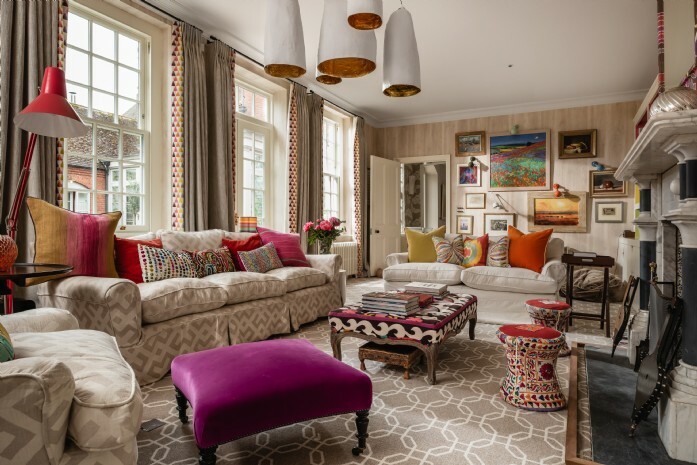 Bohemian umbrellas shade the outdoor swimming pool whilst pompoms cheerfully swing from the orangery ceiling. 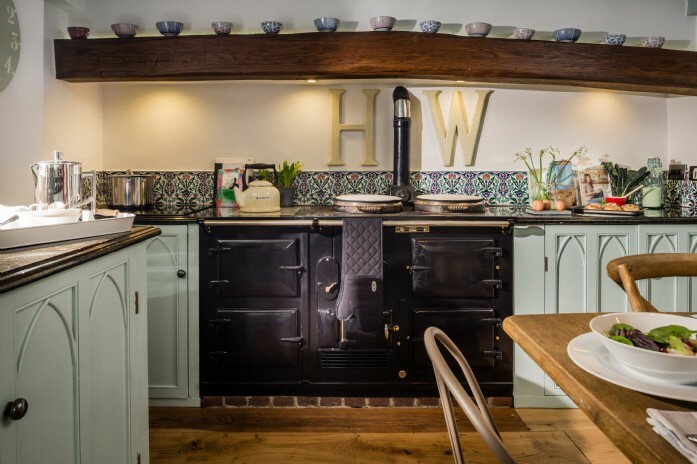 With a bright soul and rambunctious heart, this unique Hampshire abode will brighten even the dullest of days. Luxurious style dances with historical grandeur at this opulent 14th century family home near the Georgian city of Bath. The minstrel gallery, great hall and oak staircase encapsulate the manor's historic integrity, transporting guests to another time. Imagine a real life Neverland where you can rekindle all those fond childhood fantasies and leave grown-up responsibilities firmly behind at the gate... well at Midsummer Wood, anything is possible. 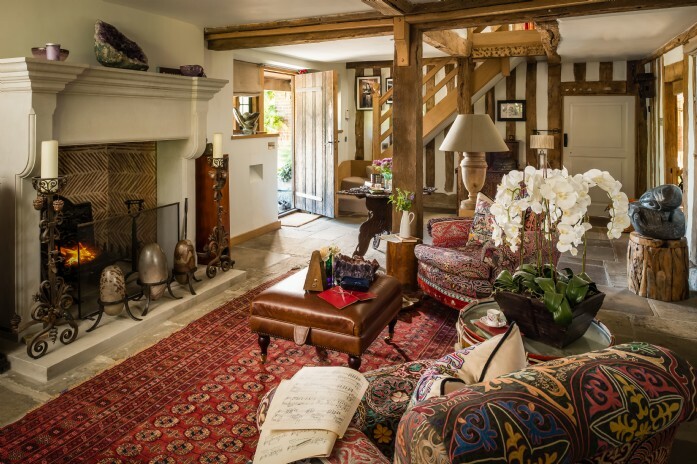 Encompassing all the hallmarks of an eccentric English home, there's exotic fabrics, patchwork quilts, Jacobean antiques, trompe l'oeil country murals, swags of wisteria and a garden that wouldn't look out of place in a scene from Alice in Wonderland. 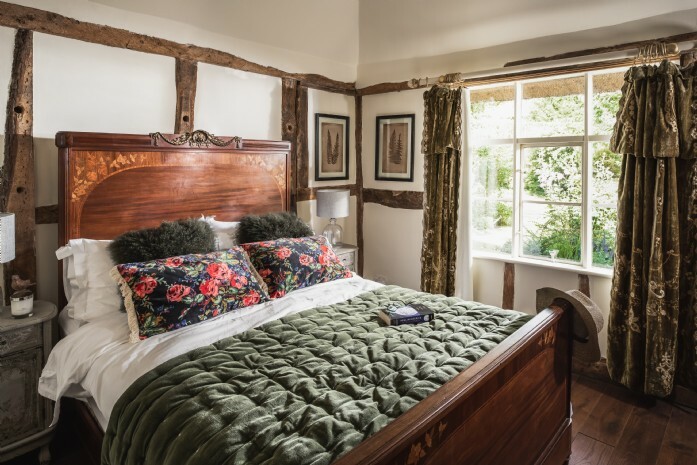 Style meets stile at Hummingbird House, not far from the beautiful market town of Lewes in rural Sussex. The owner worked with an interior designer to thoughtfully include his Grandmother's heirlooms within the overall theme. 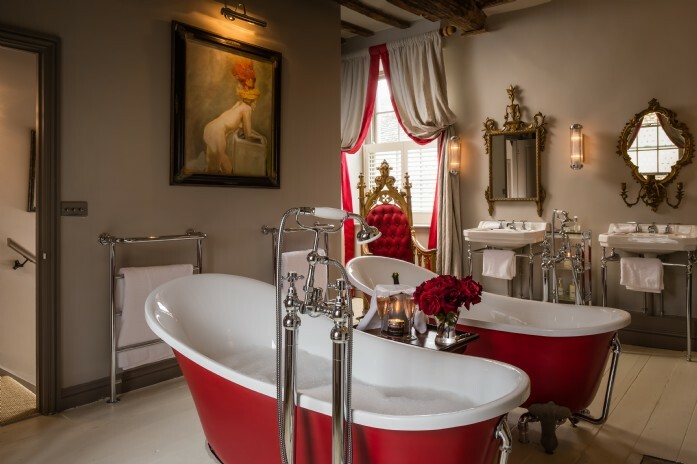 Also once the home of a famous Edwardian music hall starlet, this Grade-II listed manor is steeped in history, which shines through every furnishing. 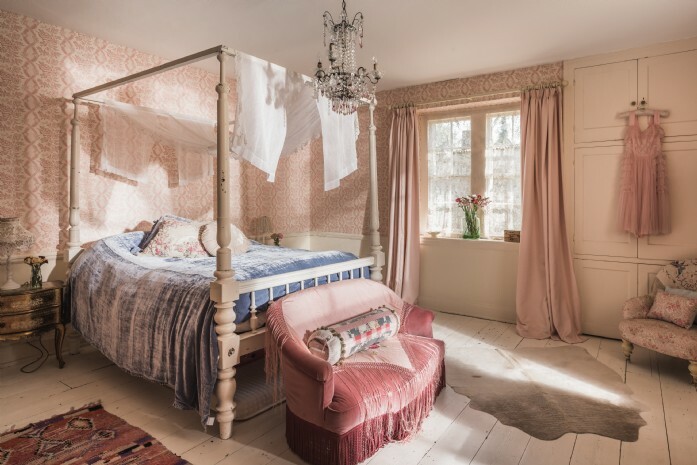 A rock ‘n’ roll love affair between vintage faded glamour and country chic style create a fevered symphony of splendour at this golden Somerset manor house. With nods to the roaring twenties and modern art adorning the walls, such as the 'I'm not sorry' print in the dining room, this house is both brave and bold in its feminine eccentricity. Set smack-bang in the middle of Castle Combe (England's most quintessential chocolate-box village!) Burdock Fox stands tall over four floors including a 14th century vaulted undercroft which is now a private cinema room. 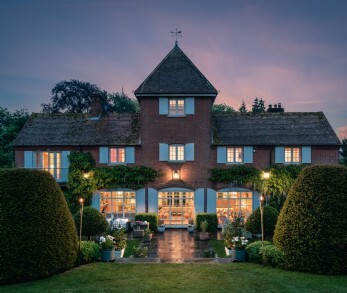 Inside is decorated top-to-bottom in Farrow and Ball paint paired with game-print fabrics, whilst outside the house flaunts a neat moustache of wisteria which gifted to the owner from Steven Spielberg as a thank you for letting him perch on the wall during the filming of Warhorse. Pollyanna is a place where you can bask in halcyon nostalgia until the cows come home. 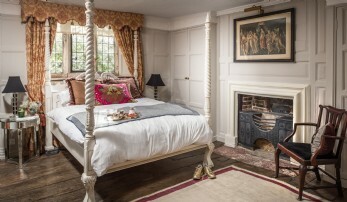 Think antique furniture, rustic beamed ceilings and the most luxurious of linens. 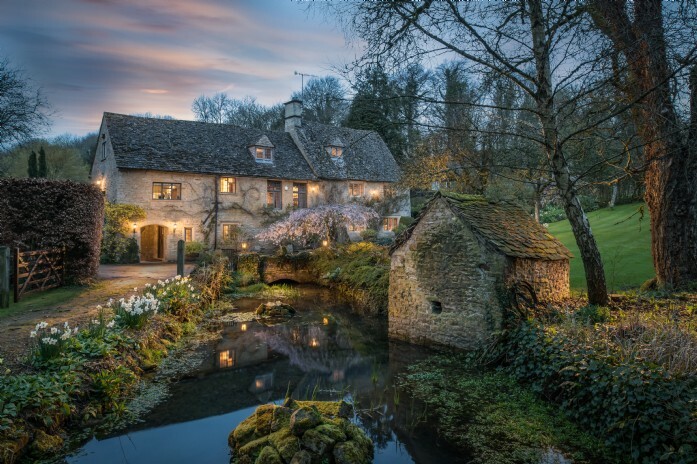 Magic and spice and all things nice, this whimsical thatched cottage in the Cotswolds exudes both beauty and charm in bountiful measure. 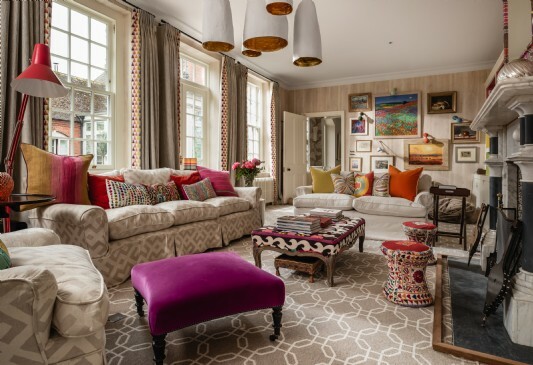 There's a colourful and eclectic theme that runs throughout the interiors of this unique 16th century manor house, where the vibrant personalities of the owners can be seen in everything - whether the books in the library or the bespoke artwork that adorns the walls. From decorative fabrics to antique sawfish swords and abstract artworks, Guinevere is a rich tapestry of everything a real home should be.